Windows can boot in EFI mode or Legacy mode, depending on the Windows version and the type of Mac. Winclone will detect which boot mode to use during restore. This option will force the Mac to boot Windows in Legacy mode. Select Volume will show any currently attached volume that is NTFS formatted and has Windows installed. 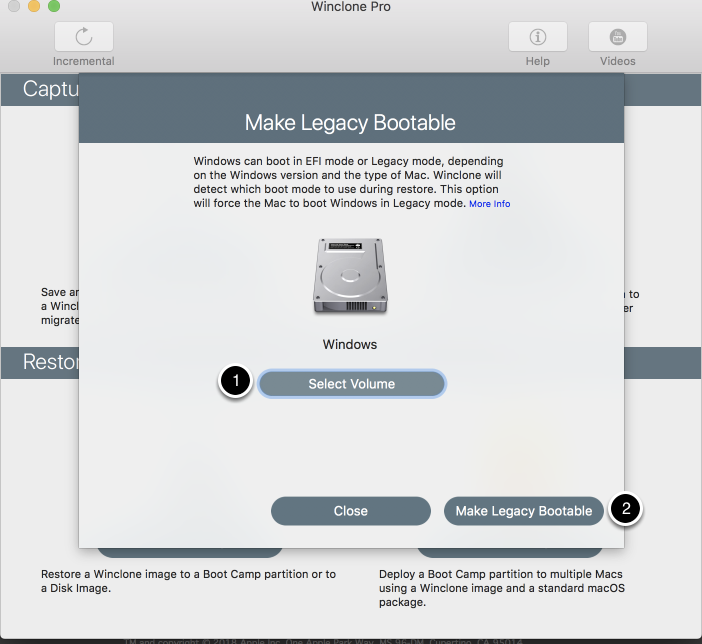 When Make Legacy Bootable is pressed, the Mac will be set to boot Windows in Legacy mode.